There is no minimum or maximum number of chapters that may win the award in any given year. Award criteria are assigned on an objective scale and encompass the entire gamut of chapter activities, from financial stability and recruitment, to chapter and member reputation, to Ritual and Initiation performance. Because chapter operations vary among campuses and chapters, each chapter measures itself against these absolute Sigma Chi standards, rather than against other chapters. This year Rho chapter earned the J. Dwight Peterson Significant Chapter Blue Award. The Blue award is presented to chapters that scored between 90-96.99 percent on their annual reports. Thank you to our past executive team and active brothers who strived to once again earn Rho chapter the Peterson Significant Chapter Award. Posted on November 1, 2017 by Admin User. Richard A. "Doc" Jackson has entered the Chapter Eternal, leaving a legacy of service and leadership to our beloved Rho Chapter that spanned over 60 years. In our proud 152 year history, there have been perhaps only a few men who have impacted our chapter as much as Doc. From the financial strength of our chapter, to our own scholarship foundation, to the very bricks of the chapter house on Hampton Drive, his life's work continues to thrive and will our brotherhood for generations to come. Please join us for his White Rose Ceremony on the 31st as we say farewell to of one our finest brothers. All honor to his name. Posted on July 18, 2017 by Admin User. Rho Chapter held its annual Spring Scholarship Cookout on April 13 with brothers, faculty, and alumni sharing a great casual meal on the deck. Scholarship Chair Noah Caracoglia organized the event and has a done a great job this semester keeping everyone focused on their grades. The Rho Scholarship Foundation board awarded checks to thirty-three brothers for academic achievement, totaling over $8000! Alumni on hand for the event included board president Dean Theofanis, board treasurer Mark Kugar, Faculty Advisor Marv Recht, board members John Dedman and Rich Vonderhaar, donor Phil Schaefer, and Chapter Advisor Dan Brown. The Chad Rankin Award for community service was awarded to Eric Davidson. Given annually by Dan in memory of Brother Rankin, the award recognizes the brother with the most service hours and includes a cash prize along with a custom trophy donated by Thos. Miller. Posted on April 17, 2017 by Admin User. Posted on October 31, 2016 by Admin User. This year's Spring Barbecue and Scholarship Banquet was not only a recognition and commencement of another successful school year for Rho Chapter, it was also in loving memory of our brother Chad Rankin who entered Chapter Eternal the previous summer. Chad was known for his warm heart and infectious smile and personality, as well as for his service to others and the community at large, which is why this year we are proud to announce the creation of the Chad Rankin Service Award. This award will be given annually to the brother of Rho Chapter who donates the largest amount of their time to the community and the service of others over the course of the academic year, and best resembles the values and ideals that Chad embodied in his own life. We are proud to honor Chad in this way. Pictured below is this year's recipient, Samuel Motiff '16, and Dan Brown '84, who was instrumental in the creation of this award. Posted on April 29, 2016 by Tony Rinehart. This past week Rho Chapter welcomed Butler faculty and staff over to the house for our annual Spring Barbecue and Scholarship Banquet, which was organized and put on by our Scholarship Chairman, Ben Cavanaugh '18. This year, 36 brothers received generous scholarship checks from our Sigma Chi Scholarship Fund for their academic performance during the fall semester. A special thanks to our Chef's, Paul and Andre, who cooked up some outstanding burgers and hotdogs and were flexible in making this event a success, despite the banquet location being moved from outside to inside because of the poor weather. Thanks again to all faculty and staff who were able to make it to this great event. Posted on February 1, 2016 by Tony Rinehart. Rho Chapter is pleased to announce that we have extended our streak of winning Homecoming Chariot Races to 7 years in a row with our victory over the men of Delta Tau Delta. This years runners were Isaac Bales, Keenan Casey, Ryan Moll, Ryan Donahue, Brandon Merkle, Colin Regan, Andrew Shroyer, Kyle Jacobs, and Josh Etchberger. After the race both brothers and alumni gathered to tailgate and reconnect outside of Hinkle Fieldhouse before the Football team took on Campbell Camels. The Bulldogs won the game in dramatic fashion with some late game heroics giving them the 25-24 win and advancing them to a 3-1 record on the year. Thank you to all who were present for the Homecoming festivities, it was great to see alumni and their families back on campus. We hope to see you all again next year. Posted on October 5, 2015 by Tony Rinehart. This year's homecoming yet again did not disappoint. It was great to see alumni of all ages and their families back on campus. The weekend festivities began on Friday with the annual Rho Chapter Alumni Golf Outing. 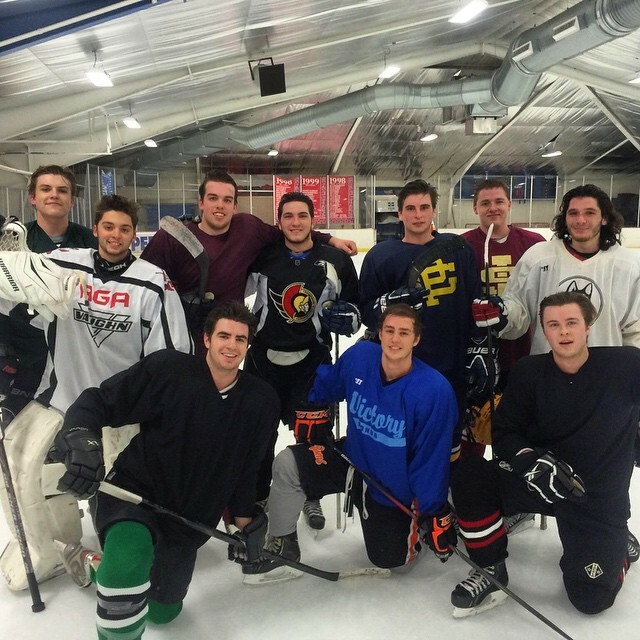 Players ranged in age from 20-60 years, spanning 5 decades of Rho Brothers. 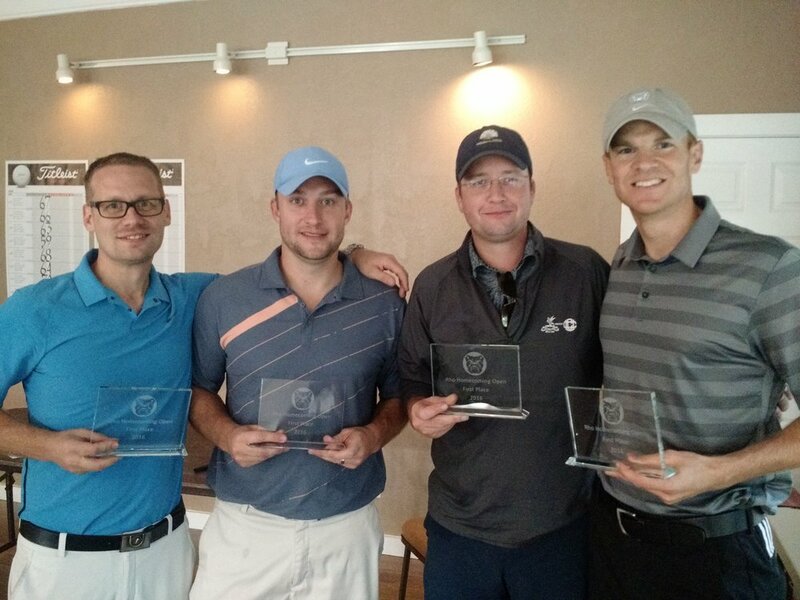 The winning foursome shot 16 under par, and took home some great prizes for their effort. More importantly however, $3400 was raised through the event for the Rho Chapter Derby Day's fund supporting Huntsman Cancer research Institute. Rho Chapter is pleased to announce that four of our brothers have successfully reinstated the Butler Club Hockey Team as a school recognized and supported club on campus. Thanks to the efforts of Noah Brayton (President), Keenan Casey (Vice President), Kyle Kortebein (Secretary), and Liam Creamer (Treasurer), Butler students now have the opportunity to participate in the sport they love and continue their hockey careers. To learn more about the team and to find out when and where games will be held please contact Kyle Kortebein via email at kkortebe@butler.edu. Posted on September 1, 2015 by Tony Rinehart. Congratulations to the Rho Chapter Spring Pledge Class of 2015 on their recent Initiation. Shown below is the 25 members of the pledge class on Bid Day. On Sunday March 21st 2015, Rho Chapter had the privilege of initiating 25 young men into our Fraternity. We are very proud of this great group of initiates and excited for their future as Sigma Chi's. On Saturday the 15th of November, Rho Chapter initiated three new members into the chapter, Marko Tomich, Johnah Mancino, and Sepaus Crawford. We are very excited to welcome them into our brotherhood. Connor Dudley, a sophomore brother, was given the recognition of the top fall golfer. Connor received this honor based on what his performance in the six tournaments they had during the fall season. 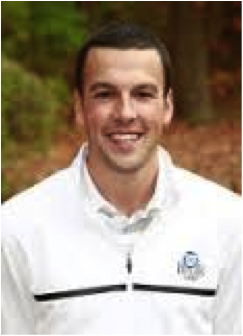 During his top tournaments he finished Tied for 16th at the Illinois State Tournament, tied for 11th at the Butler Invitational, and tied for 10th at the Dayton Invitational. This award was decided on by the other golfers on Butler’s team. Posted on August 24, 2014 by Tony Rinehart. Today we had a productive meeting and we'd love to share some details regarding it. Posted on August 12, 2014 by Tony Rinehart.